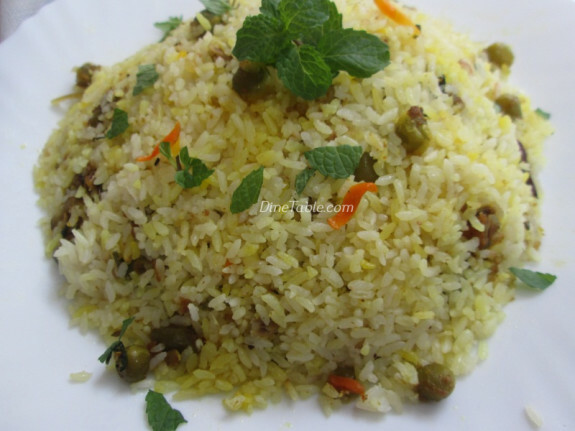 Vegetable Biryani is a healthy and delicious authentic biryani recipe especially for vegetarians. 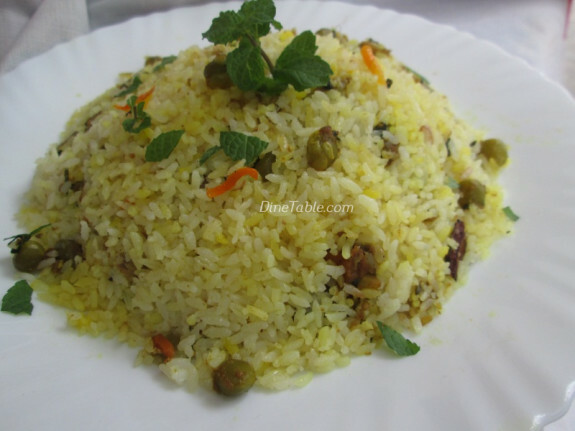 It is indeed a delicious recipe which combines all the goodness of vegetables and the flavor of biryani. You can present this dish undoubtedly for any lunch or dinner party. All will enjoy this vegetarian dish. You can use vegetables as you prefer but mostly people use carrots, beans, potatoes, cauliflower and green peas. 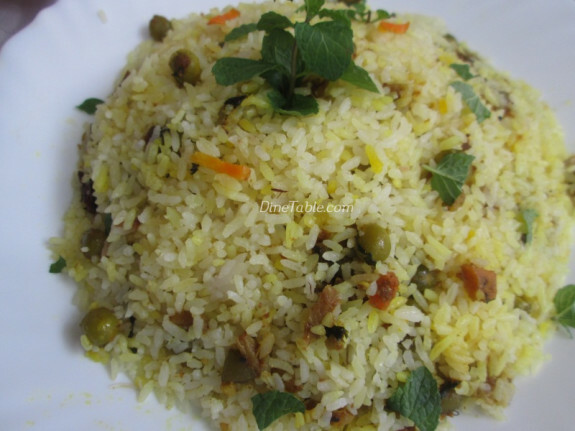 The combination of vegetables with biryani masala makes it more tastier. The rice is half cooked first, then we prepare the vegetable biryani masala and atlast the rice and vegetable masala is spread layer by layer. 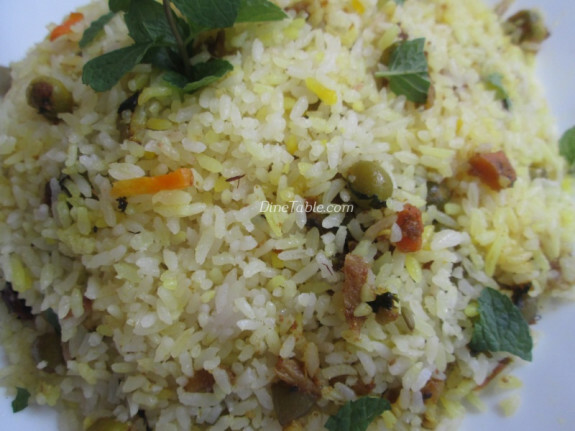 Hope you all try this authentic Vegetable Biryani / വെജിറ്റബിള്‍ ബിരിയാണി Recipe. Try and enjoy. 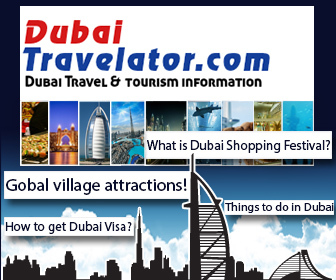 Wash the rice with water and allow the water to drain from the rice. Keep the washed rice aside. Clean and cut the vegetables. Steam the vegetables in a steamer. Boil water in a vessel. Add enough salt, a pinch of turmeric powder, 1 crushed cardamom, 2 small pieces of clove, 2 cinnamons and 1 spoon ghee to the water. Add rice and cook until it is half cooked. Heat 2 tbsp of ghee in a pan and add raisins, cashew nuts, onion and saute well. When it turns golden brown, put garlic paste, ginger paste, green chilly chopped and fry for 2 minutes. Add tomato, garam masala, red chilly powder, salt, coriander leaves and mint leaves. Cook for a few minutes. Add yoghurt and cashew nut paste. Add cooked vegetables to this masala and mix well and cook again for 4 minutes. Vegetable masala is ready. Heat a little ghee in a pan or a kadai. 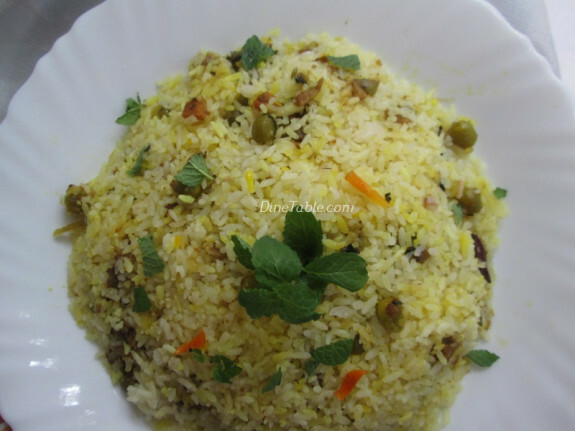 Put a little of cooked rice and spread 1 tsp lime juice over it. Put one layer of the veg masala above that and repeat the process layer by layer. Close the lid tightly and cook again on a low flame for about 10 minutes. Mix the biryani before serving. 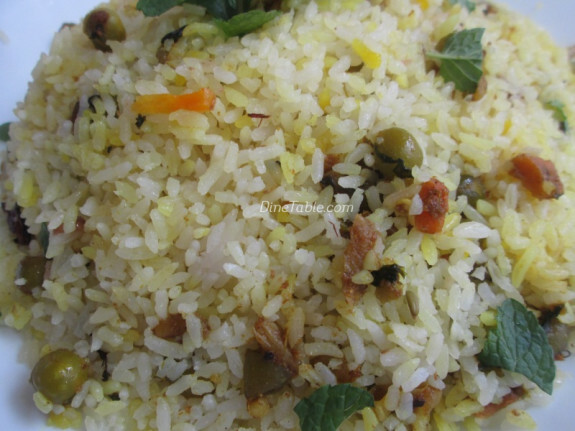 Tasty Vegetable Biryani / വെജ് ബിരിയാണി is ready.